This project brings a home exterior from a sunroom to a backyard Trex deck oasis! To see the finished results click here. Bad weather has passed and we have finally begun work on the new deck addition in Vestavia. 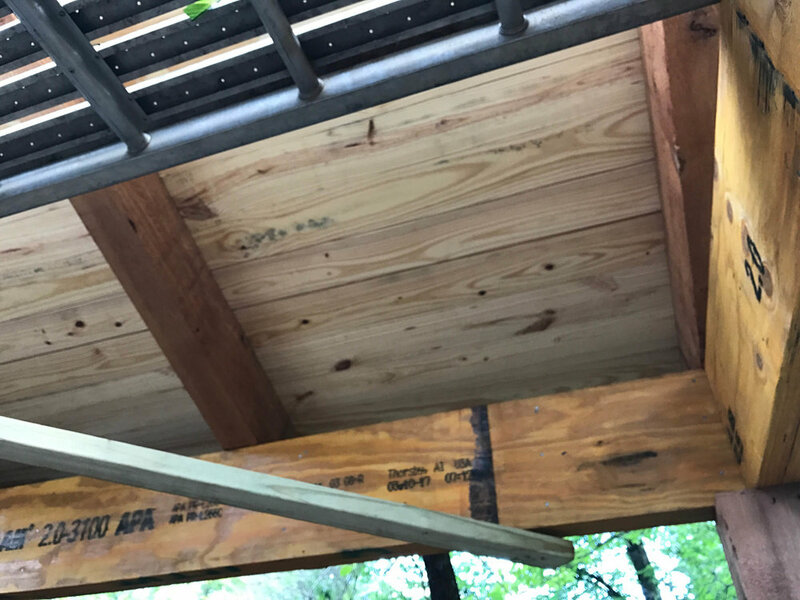 Workers went to town on demolishing the existing sunroom on the back of the house and constructing the covered Trex deck that will be the star of the show this summer! These sweet home owners are seeing all the possibilities for this space. 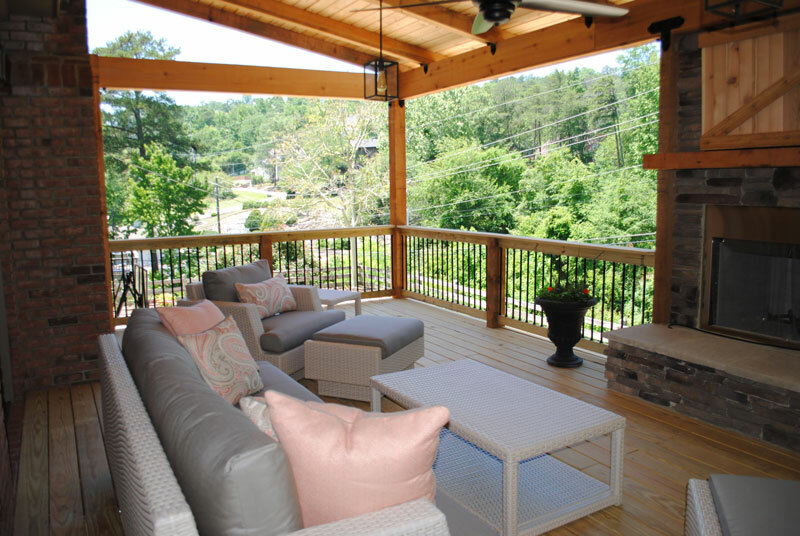 A sunroom is always nice, but this deck is going to ensure that the home owners never miss their sunroom! The deck will be covered on the house side and uncovered on the yard side. Best of both worlds! 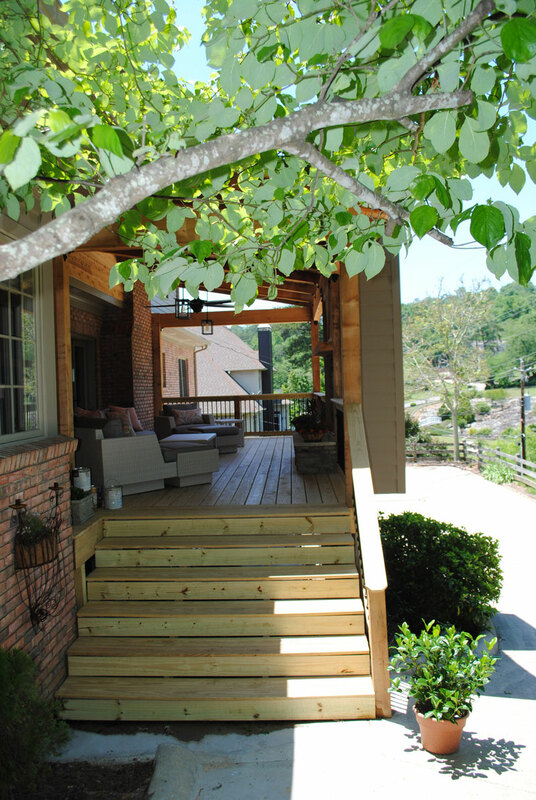 See how we remodel this upper level backyard deck for these homeowners just in time for summer! In about 6 weeks, this deck went from uncovered to covered, with a new stone fireplace. Now the owners can enjoy their beautiful view in their backyard, and a nice fire at the same time. 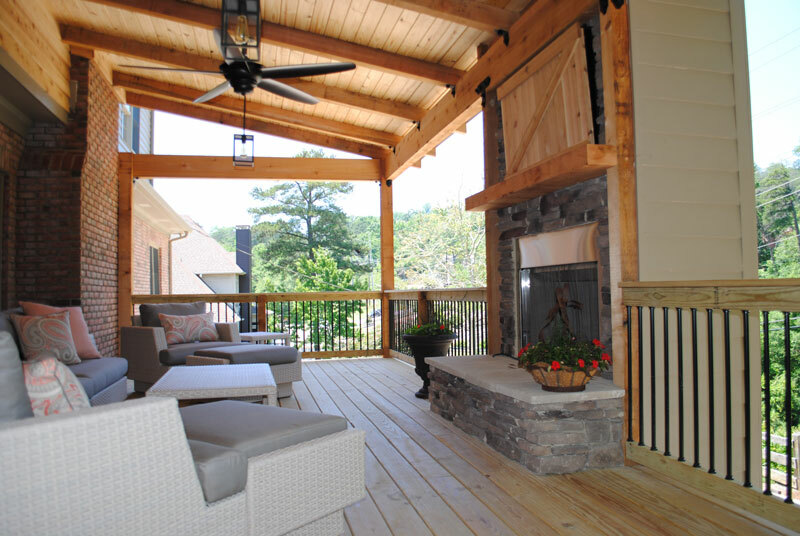 Cedar beams were incorporated in to the structure of the deck and the mantel. Also they used hardware accents at the angles. New french doors replaced existing doors. It all came together well just in time for summer! and also Totally Terrific Tuesday Link Party at Live Randomly Simple.